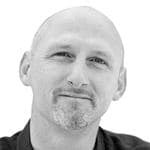 It’s very refreshing when a client calls with an almost perfectly complete idea of what they want to achieve on their event. Most enquiries we receive require our office managers to suggest and create team events from all the possibilities that are available to them. A few months ago, brand clients called with a brief that was very specific and well thought out. We only had to add a few minor points to make it just perfect. On Tuesday morning, at the ICC in Birmingham, our clients’ vision came to fruition and their conference kicked off with a very unique introduction. As over 200 delegates sipped their coffee and waited in the foyer, out of nowhere our African team started playing drums and singing. 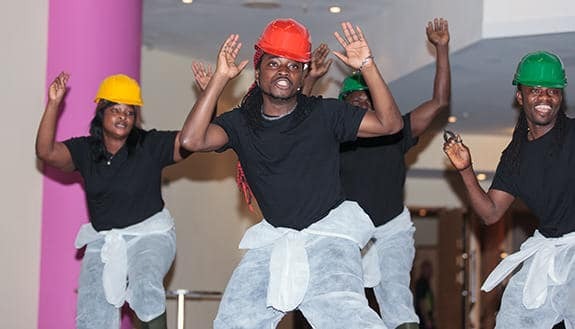 Next, in came eight African dancers wearing overalls, hard hats and Wellington boots! The tempo increased as our performers climbed onto the stage, and our gum boot dancers wowed the already-stunned audience with a short performance. Then, our dancers suddenly stopped to beckon onto the stage 14 costumed managers, who were waiting in the wings. Members of the audience gave the new arrivals a rousing applause, although they were rather confused as to what would happen next. 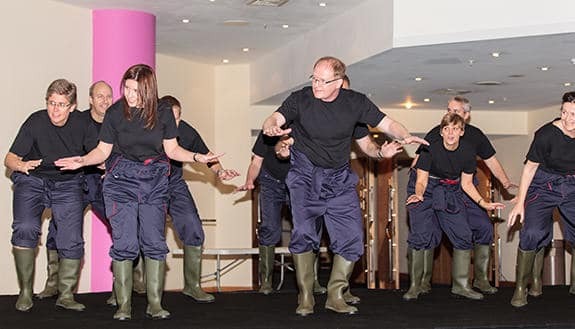 What happened next was that all the managers, and our team, launched into an amazing, pre-rehearsed gum boot dance routine! The audience went wild. 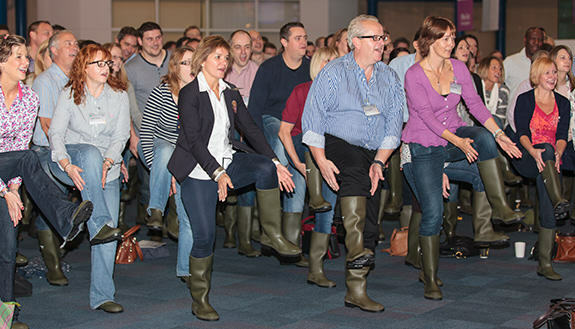 Every member of the audience already had Wellington boots on. Our clients had bought everyone a pair of boots so that everyone could adorn them at registration. So now, everyone could get involved by learning how to gum boot dance under the expert instruction of our lead facilitator. Over the next 15 minutes, he had everyone slapping, clapping and stomping in the ultimate early morning conference wake up. Prior to this exciting day, our dance instructors had been going into the managers’ offices for secret rehearsals over a period of three weeks. The management team had worked diligently with our instructors, and on their own, to perfect their surprise performance and did a fantastic job on the day! This was a perfect example of leaders showing the way and going out on a limb as an example to the rest of the company. I would like to say a big ‘well done’ to them and to our very own Helen, who organized all the clandestine rehearsals as well as managing the final event. Whether you have an existing event idea or you require inspiration and a complete plan for your next conference or meeting, let us turn your ideas and visions into reality. Please Contact Us now for more information.